One of South Africa’s “Big Five” Cities, Port Elizabeth is located on South Africa’s world renowned N2 road. This long road travels along the eastern coast all the way from Cape Town, up through the picturesque Garden Route, and carries on through Durban, Richards Bay and then finally heading inland at St Lucia toward its ending in Ermelo. Just as many coastal cities in South Africa were started off thanks to the trade routes, so was Port Elizabeth. 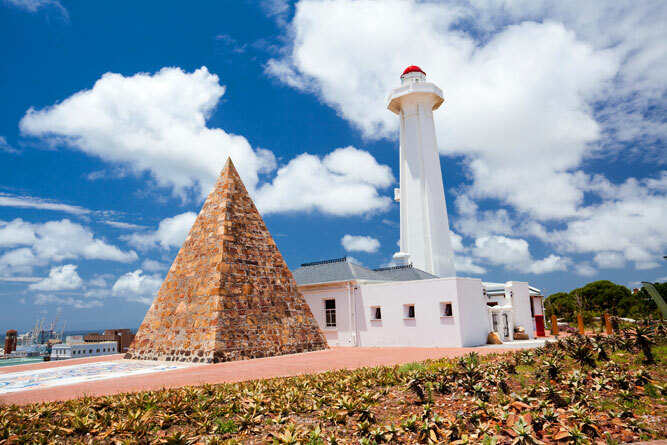 Noted on the charts of Portuguese navigational giants such as Bartholomew Dias and Vasco da Gama simply as “landing place with fresh water” Port Elizabeth later became an important stop. It was a harbour for the Portuguese ships leaving to trade with their Indian colony in “Goa” and hence the name Algoa, which literally means “to Goa” the ships would wait here until for favourable conditions before setting out. 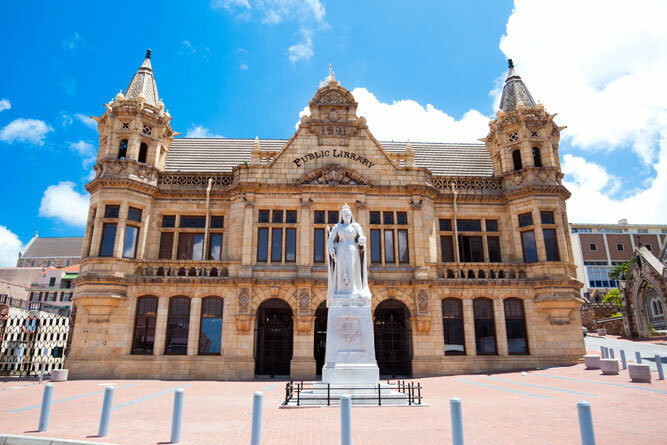 The history of Port Elizabeth is a fascinating one; dominated by the Xhosa, English, Portuguese and Dutch, it is well worth delving into for anybody that wants to know a bit more about “The Friendly City” – as it’s affectionately known. PE has some incredible beaches; the waves, white sand and moderate climate of the city means a beach day in any month of the year is perfectly do-able. The best beaches are Kings, Hobie, Pollok and Bluewater Bay – all manned by professional lifeguards and with exciting events, often occurring, such as the annual Ironman South Africa which takes place in April, World Boardsailing Championships, beach volleyball and PE is often the host to The South African Lifesaving Championships. If you are into shopping and perhaps even dabbling in the slots then the Boardwalk Casino and Entertainment world is the perfect venue for you. Inspired by the Tivoli Gardens in Copenhagen, it has 25 000 lights that illuminate the man-made lake and surrounding gardens which you can overlook from the restaurants, bars and cafés. If you are looking to entertain the kids or the kid in you then head toward the Oceanarium and marvel at much including one of the world’s largest and best Dolphinariums. The history of Port Elizabeth has not been forgotten nor neglected by the people of Port Elizabeth. Visiting the PE Opera House (oldest theatre on African soil) which is still in use, is well worth it, as are trips to the formidable Fort Frederick built in 1799 (built to ward off a possible French assault), Sakhume Museum and Xhosa Culture Centre in the Walmer Township. 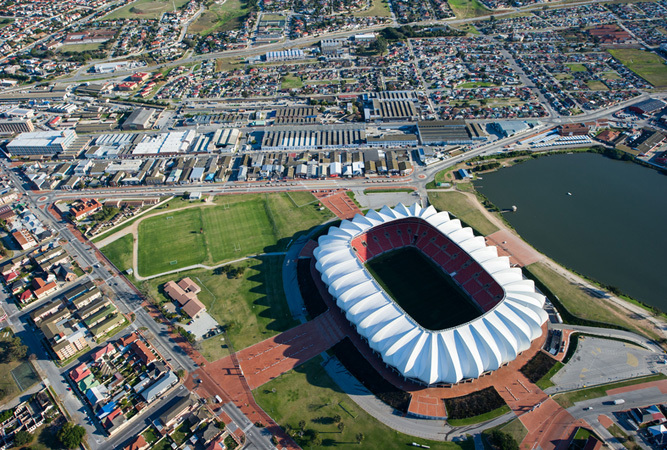 Thanks to the 2010 Soccer World Cup the Nelson Mandela Bay Stadium is a brand spanking new sports arena that seats 48 000 and is host to major Rugby and Soccer matches as well as being used as a concert venue. I last went to PE about five years ago for a wedding – we had a lovely weekend, rounded off by a visit to the lion park. Yes Port Elizabeth is one of the best city in south africa.Last time i spend many time with my friends.